When only Original Equipment Manufactured (OEM) toner and supplies will do, Doc Jams Printer Repair, Toner & Supplies has you covered. 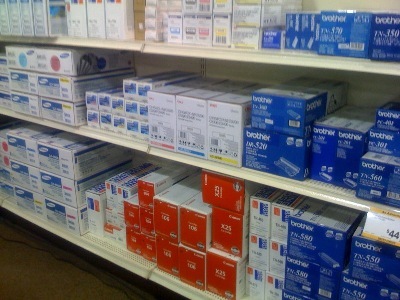 Did you know that Doc Jams keeps an extensive inventory of OEM toner cartridges for many printer brands, including HP and Xerox? Doc Jams also has the ability to send you OEM toner right to your doorstep overnight with a minimal shipping charge. You need toner. Doc Jams has toner. To make things simple, Doc Jams has created a simple online ordering form for you to enter what you need and have Doc Jams take care of the rest. 15 seconds to fulfillment. Just use the form on the right to enter what you need and Doc Jams will bring your printer toner to you quickly.